In response to executive orders issued by President Donald Trump, California Assemblymember Jim Cooper (D - Elk Grove) introduced an Assembly Joint Resolution today meant to offer support for federal employees collective bargaining rights. Assembly Joint Resolution 51 urges Trump to rescind three orders that target the collective bargaining rights and union representation in the workplace. The orders were issued on May 25. The orders fulfill a long-sought Republican goal making it easier to fire federal workers. The order will affect up to two million federal workers. According to information provided by Cooper, there are 140,000 federal workers in California. Of this group, over 30-percent are veterans. 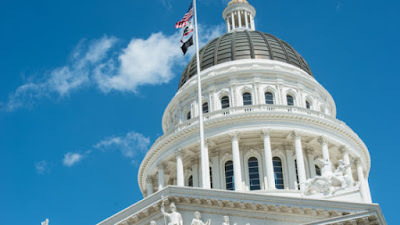 According to the California State Legislative a joint resolution is "an opinion about an issue pertaining to the federal government; forwarded to Congress for its information. Joint resolutions require the approval of both the Assembly and Senate but do not require approval by the Governor." “Our government is built on a system of checks and balances to prevent any one person or group from having too much power,” Cooper added.